Blue within the visible light spectrum has a shorter wavelength and more energy. A light appearing white to the naked eye often has large amounts of blue light. It can be found anywhere, from sunlight and artificial lighting to LED televisions, computer screens, smartphones and tablets. Blue light can have harmful effects. Eye and Vision Care, your go-to center for your regular eye exam and other eye care concerns, discusses the two sides of this specific color in the visible light spectrum. Studies have shown blue light is helpful in boosting alertness, elevating mood, and enhancing memory and cognitive functions. With the right exposure to it during daytime hours, you maintain a healthy sleep and wake cycle, also known as the circadian rhythm. Overexposure to blue light, however, can be harmful to your eyes. 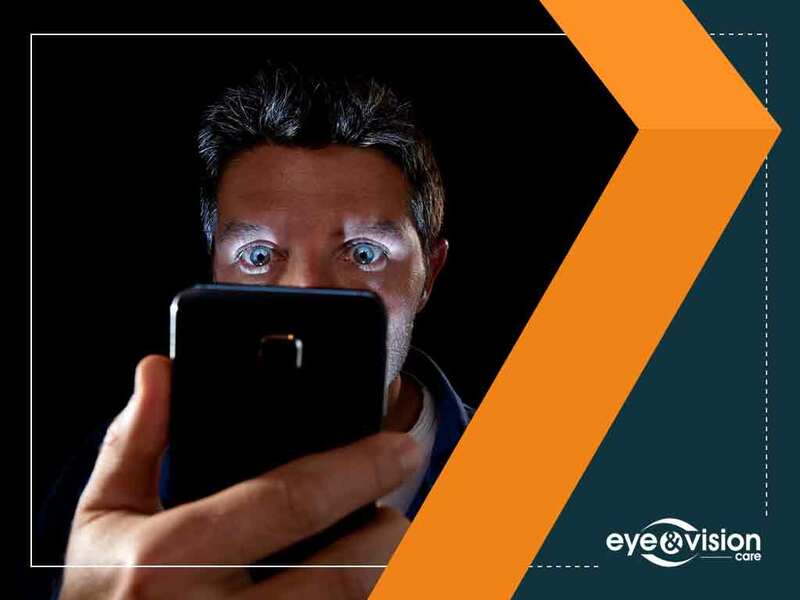 It can lead to a variety of vision problems, including digital eye strain. It occurs due to constant use of digital devices and computer screens, which emit blue light. Symptoms include sore, tired eyes and difficulty focusing. The use of tinted computer glasses can help reduce blue light exposure. These can be obtained without an eyeglasses prescription and worn with or without contacts. You can talk to one of the eye doctors of Eye and Vision Care to learn more about our vision correction and lens features that best suit your situation. Giving your eyes some rest at specific intervals can also relieve the symptoms of eye strain, especially when doing computer work or using digital devices. In addition, you can install screen filters on them to minimize the amount of blue light that enters your eyes. For your eye care needs, turn to Eye and Vision Care. Our extensive eye care services include comprehensive eye exams, corrective eyewear prescriptions, as well as procedures such as orthokeratology and laser vision correction. Call us at any of these numbers: (703) 722-6516 if you are in Ashburn, (703) 988-2571 if you are in Fairfax, (703) 910-5952 if you are in South Riding or (703) 659-2635 if you are in Haymarket. You can also fill out our contact form to schedule an appointment. We serve residents of Fairfax, VA, and nearby areas.